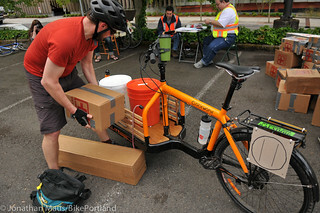 Sunday’s inaugural Disaster Relief Trials (DRT) was a big success on many levels. 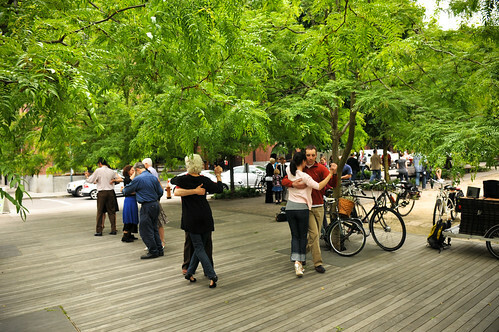 A bumpin’ bike, an exploration of neighborhood churches, and more. 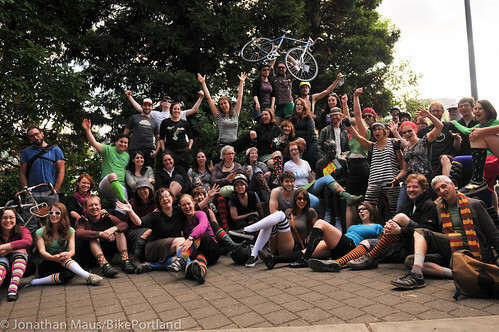 Group shot from the Hott Socks ride. 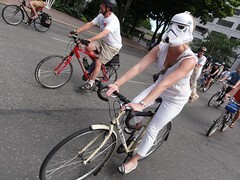 Today was the first big and full weekend day of Pedalpalooza. And it was good. From what I’ve seen and heard, the turnouts and the spirit are as strong as ever. 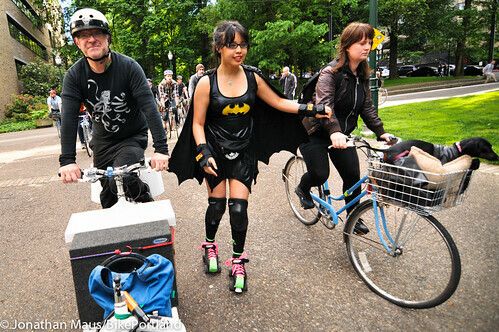 Pedalpalooza starts tonight with the traditional Kickoff Ride leaving the South Park Blocks at 6:00 pm. 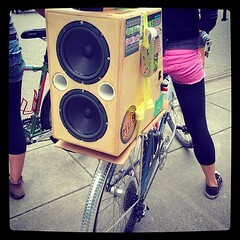 For as long as I’ve cared about bicycling in Portland, Pedalpalooza has been a strong inspiration. 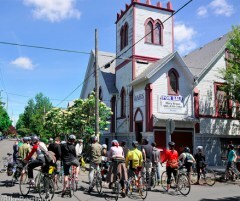 In many ways, it’s to blame for BikePortland’s existence.